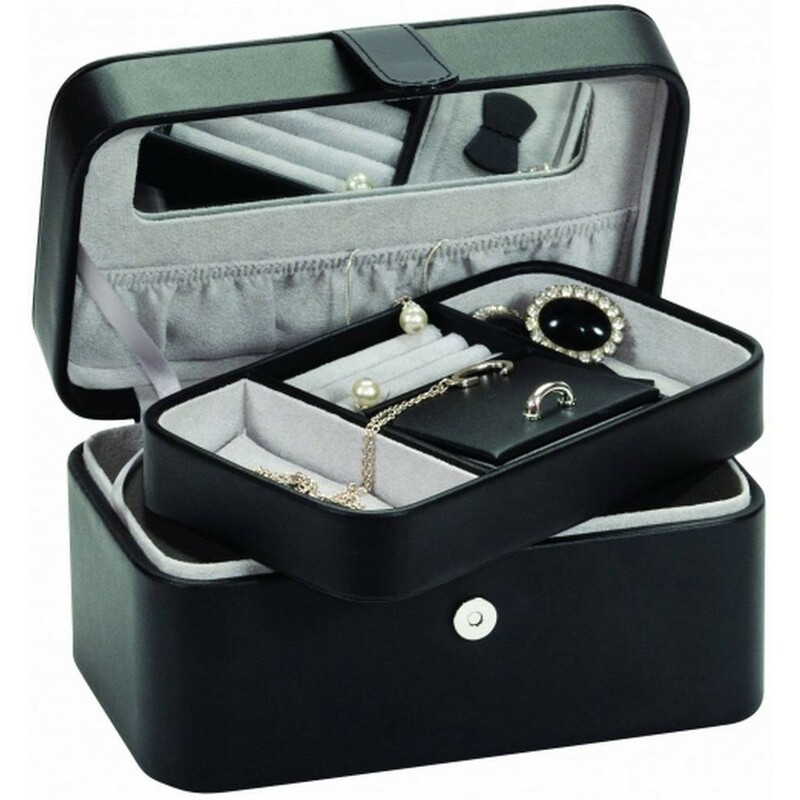 Black Bonded Leather Anastasia Jewellery Case. The black bonded leather jewellery box has a small mirror on the underside of the lid together with a handy pouch. The main section has a lift out tray with three compartments and a ring roll section. It is finished with a carry handle on the top making it perfect for on the go. This beautiful box measures 21 x 14 x 11cms.